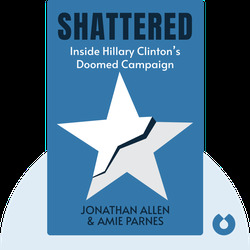 Shattered (2017) takes you behind the scenes of the 2016 US presidential election campaign of Hillary Rodham Clinton. In these blinks, you’ll learn what went wrong for Clinton and her team, leading a seasoned politician to come second to a reality TV star in a tumultuous and bitter race for the nation’s highest office. 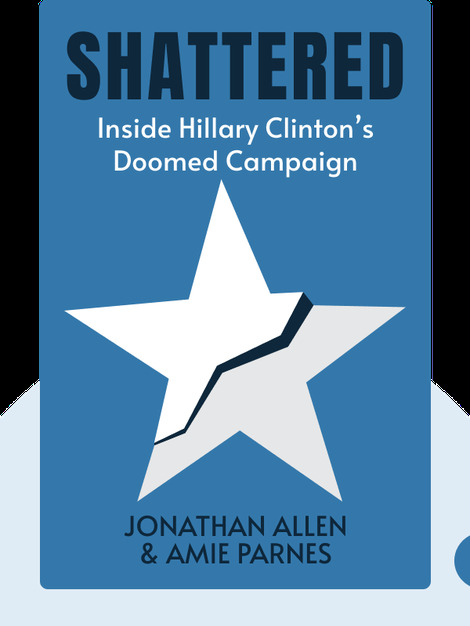 Jonathan Allen is a journalist who writes for Politico, Bloomberg, Vox and the weekly political column Roll Call. In addition to his writing, he helps run the political news platform Sidewire. Amie Parnes is the senior White House correspondent for the Washington, DC, newspaper the Hill, where she currently covers the Trump administration.